Just like your half-Polish, half-Italian grandmother used to make! Everyone who’s ever had pierogies loves them. Unless they don’t like potato, cheese, pasta or butter, in which case they are clearly mad. I have yet to make pierogies, but I have a little ace up my sleeve called pierogi lasagna. It’s very easy, if time consuming. Recovering carbophiles may wish to avert their eyes, lest they become entangled in the enticing mesh of potatoes and pasta. On the other hand, this dish is relatively low fat (remember, the butter is being distributed among 12 servings, and I found that fat free cheddar did the trick quite adequately), and they sit like a brick in your stomach, so you’re not likely to want more than one piece of the stuff. We begin, predictably, with potatoes. These are some of the most beautiful reds I’ve seen in a long time. The skin was so lovely, in fact, that I left it on. That’s my usual preference anyway, though. 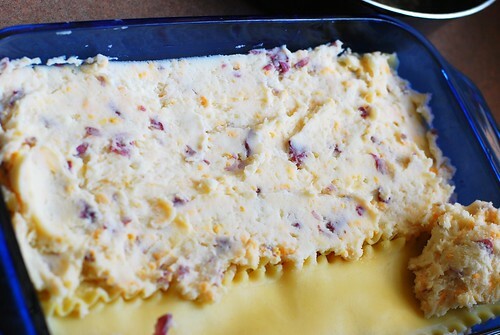 Stir in some cheddar and sour cream. I left out the butter, for now. Sautee a sliced onion in a 1.5 sticks of butter. This is why there was no butter in the potatoes. Now we begin the lasagna part of all this. 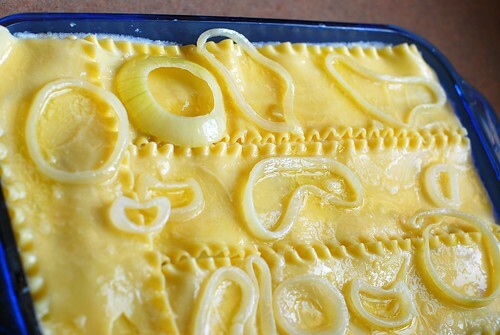 Spread a little onion-butter on the bottom of a 9×13 baking dish. 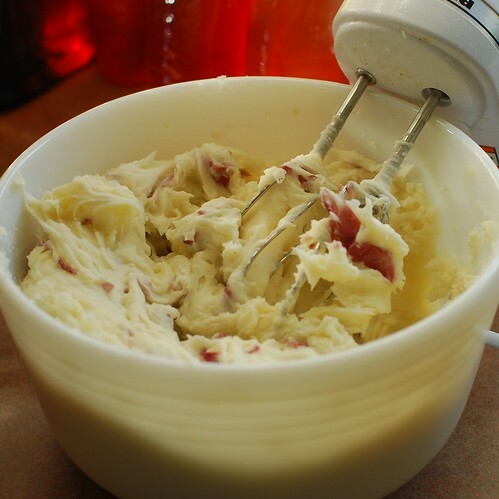 Spread potatoes little by little. It helps to drop a dollop, then spoon it out, working row by row along the noodles. And then some onions and butter on top of that. Repeat that a few times, then top with noodles and the rest of the butter and onions. There should be more of this stuff on top than in any of the layers. Bake for 20 minutes and you get this. 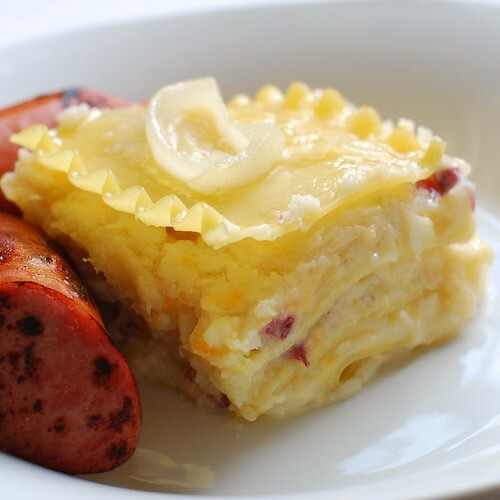 Use your baking time as an opportunity to fry up some kielbasa. Enjoy the hell out of it. Cook the noodles. 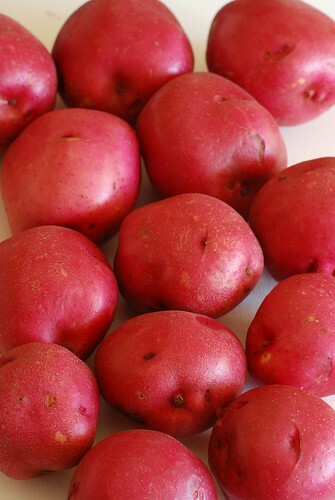 Chop potatoes into 1″ cubes, place in pot of cold water (enough to cover), and allow to come to a boil. 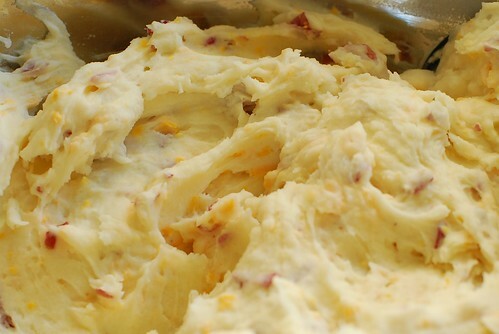 Continue boil until potatoes are soft enough to yield to a fork stab. Drain, mash, blend with a mixer. Toss in the optional sour cream and milk, mix some more. Add salt to taste. Stir in cheddar. 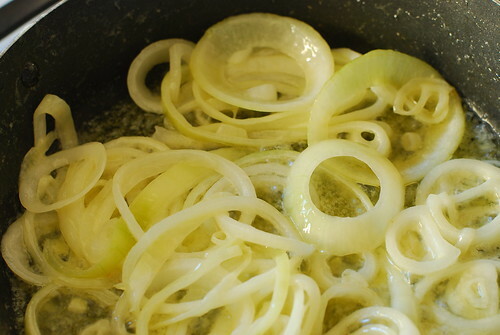 Melt all the butter over medium-high heat, then sautee onion until the rings no longer hold their shape. Preheat oven to 375. 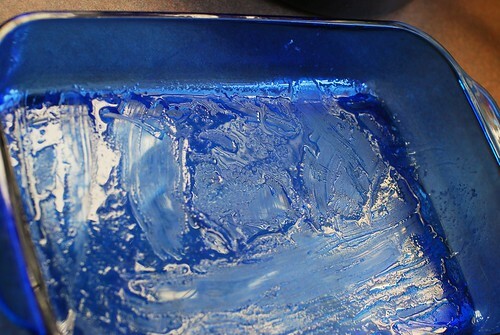 Grease the bottom of a 9×13 baking dish with some of the onion-butter. Lay noodles on the bottom of the dish, then spread the potatoes, a dollop at a time, along the length of each noodle. Once done, smooth the potatoes, then spread about a quarter of the onion on top, and drizzle a small amount of butter as well. 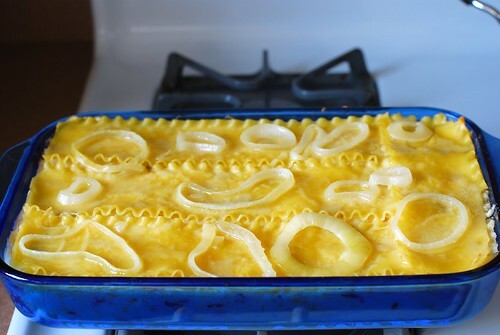 Repeat this twice (or more if your dish can accommodate), then top with noodles and the remainder of the onions and butter. 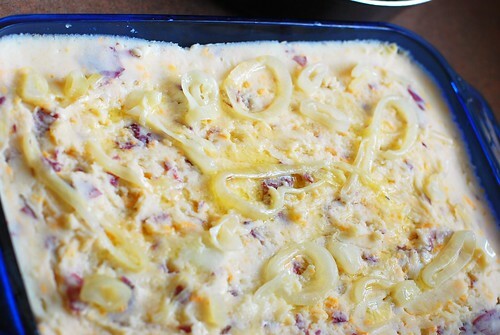 Pop in the oven for 20 minutes. 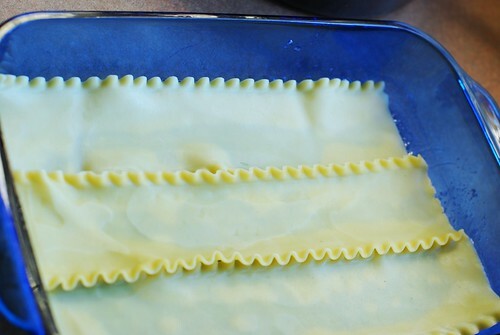 Allow to cool 10 minutes before cutting and serving.